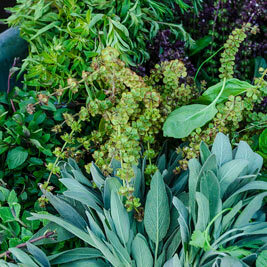 Fresh herbs bring a delightful, robust flavor to any meal, and growing your own herbs is a rewarding experience. But use the wrong fertilizer, and you can easily do more harm than good to those delicate leaves. Overly rich fertilizers can reduce the aromatic oil in herb leaves and cause scraggly, dead-looking plants. Herbs Alive! helps you grow vigorous, healthy plants with higher yields after only two applications. It works whether your herbs are potted or planted in the garden and contains the right balance of nutrients for full foliage growth without sacrificing flavor or aromatic oil. Works great for parsley, chives, dill, cilantro and more. Scratch 1 tablespoon per plant into the soil surface after transplanting or when seedlings emerge. Midseason, make a second application of 1 tablespoon per plant.